Looking for a great gift for a dad who has it all? Why not look into the exciting world of drones? These RC aerial vehicles are fun to fly and to build. And while they might have been very expensive once, high-tech quadcopter toys and camera drones are now available to anyone for a reasonable price. We’ve taken a look, found 5 of the best drones for Father’s Day, and reviewed them all in this comprehensive guide. 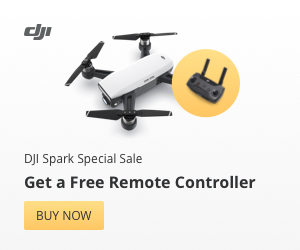 There are lots of different drones out there, and if you’re looking for a more comprehensive guide to the best drones for sale we have one here. 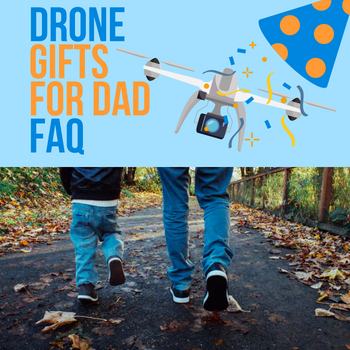 To narrow it down to our 5 best drones for Father’s Day, we decided to pick some choices that are relatively cheap, enjoyable for beginners and intermediate fliers alike, and which serve different needs so that you can find the choice that’s gonna make the best gift for your Dad. See the best price on Amazon.com (CURRENTLY ON SALE FOR $119) or get super fast shipping and amazing customer service by from Altairaerial.com. 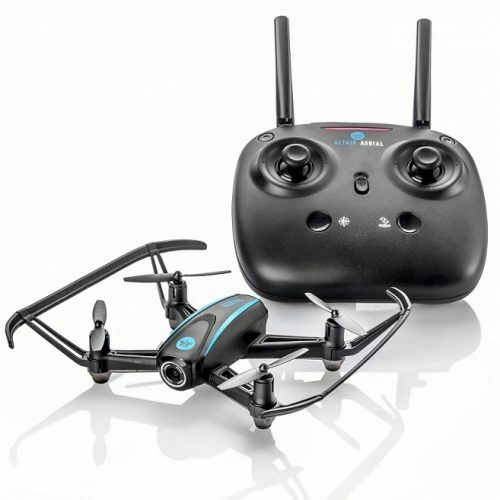 The Altair Aerial AA108 is our favorite drone to recommend to beginner drone pilots, perfect for the Dad who has an interest in drones but who has never flown before. It’s portable, fun to fly, and very durable – always important when you’re a first-time flier who’s liable to have a lot of crashes. 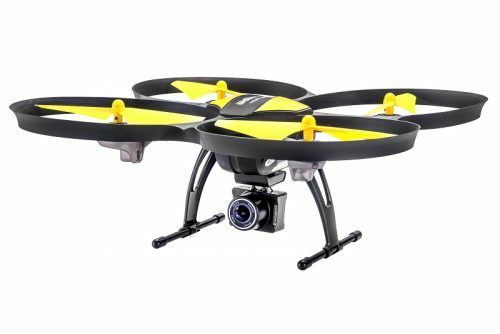 For less than $150 USD you’re getting a very solid all-around drone that’s very easy for beginners to fly thanks to features that let the drone hover and maintain its bearing on its own as well as a slower speed setting. The best thing about the AA108 is that it can actually grow with you as you get better at flying. Just switch to one of the more advanced speed settings and turn off some of those automatic flight modes, and you’ll be able to soar at great speeds and try doing some spins of your own. Plus, it has a very good HD camera for photographing events. All told, this is just one of the most solid little drones out there and a great drone for Father’s Day. Get super fast shipping and amazing customer service by ordering from Altairaerial.com (click here). Or you can shop for the 818 Hornet on Amazon. The AA818 Hornet is a slightly more advanced (though still very much beginner-friendly) version of the AA108 that’s specifically optimized for photography. It can fly for 15 minutes off of a single battery – a flight time that’s much higher than anything else in this price range and which makes it ideal for a longer photo shoot. The Hornet also has a range of 150 meters, which makes it easier to get sweeping pans and to get perfect photos or video of hard-to-reach places. Finally, the Hornet has a body that’s built for stability. Just look at the large propeller guards – when you put this thing in altitude hold mode and let it hover on its own, it barely hovers at all! Attention to detail like that is what makes it the best photography drone you can buy for under $700. Get super fast shipping and amazing customer service by ordering from AltairAerial.com, or you can also see Best Price at Amazon. The Blackhawk is one of the best budget long range-drones for sale. It’s very fast and comes with a heavy and durable metal body, although the plastic propellers have a tendency to break if you’re not careful, which is one of the reasons this vehicle is recommended for more intermediate or advanced pilots. This vehicle doesn’t come with a camera, but if your Dad already has a GoPro HERO 3 or 4 the Blackhawk comes with a mount you can attach it to. 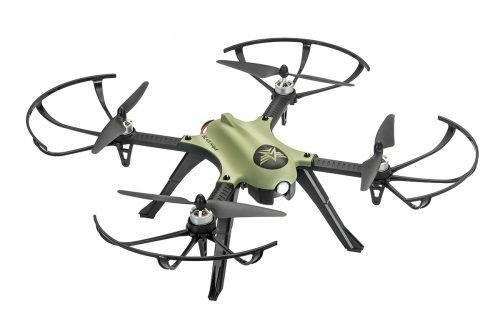 Mostly, however, this drone is all about being fast and fun to fly and having good stats, like a 300 meter range and 15 minutes of flight time – all for only around a hundred dollars! The DJI Mavic Pro is a tough, high tech, and portable camera drone for Father’s Day that you can take anywhere with ease. It has some of the best stats around: 7000 meter range, 27 minutes of flight time, and a great camera perfect for taking photos and videos of the outdoors or, heck, anywhere really! 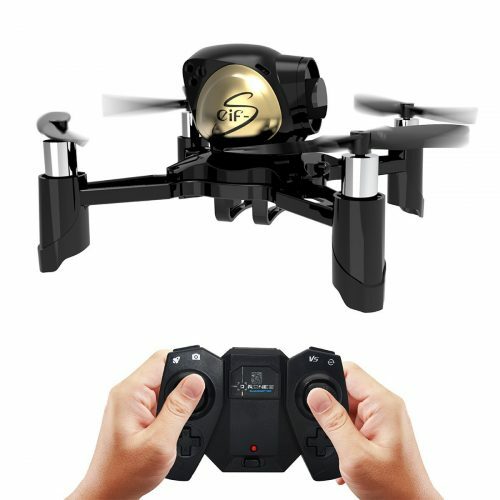 As you can expect, this drone is quite a bit more expensive than the other options on this list, costing between $845 and $1000 USD depending on whether or not there’s a sale happening. 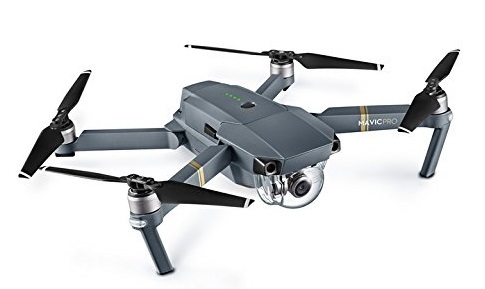 But if you want to get the best outdoor drone for Father’s Day around, the Mavic Pro is sure to please. Once upon a time, the stereotype was that Dads would build trains or other intricate models in the garage. But now, Dads on the cutting edge of technology can build drones there instead. There’s lots of great drone kits for sale, but our favorite is the Maxxrace STEM. This kit is super simple, highly upgradeable, and great for first-timers. And the drone itself comes with features like assisted take-off and altitude hold that make it super easy to fly. And best of all, it costs less than $40 USD at full price! If you’re looking for DIY droned for Father’s Day, this is definitely one of the best. What make a drone a good Father’s Day gift? Have you ever raced RC cars? Drones are a similar thing, but they can fly, and they’re also on the cusp of cutting-edge technology. If your father is a hands-on pilot they can be built or upgraded like a modern model kit. Fast drones can be raced competitively, but a lot of drones have practical applications and are perfect for anyone interested in photography. In short, drones are a great gift for anyone, fathers included. Are there Father’s Day drone sales? Most major drone manufacturers will indeed have Father’s Day drone sales. Just check the Amazon listings we’ve linked to above – if you look around Father’s Day, you’ll see that most of them will have the usual price crossed out with a red line and there will be a new, lower price next to it. What type of drones are there? There are lots of different types of drones – pro drones, camera drones, racing drones, DIY drones. You can find full product review guides for all of these different categories elsewhere on our website, and we’ve picked some of the best from each to feature in this very article. Well, now you know what we consider the best drones for Father’s Day. Hopefully we’ve helped you find a great gift for Dad at a reasonable price. And if your father has a favorite drone that we neglected to mention, or you know about a great deal we missed, be sure to let us know all about it in the comments so that we can keep this article up-to-date with all the best information. ← DJI Spark Palm and hand control indoors test.